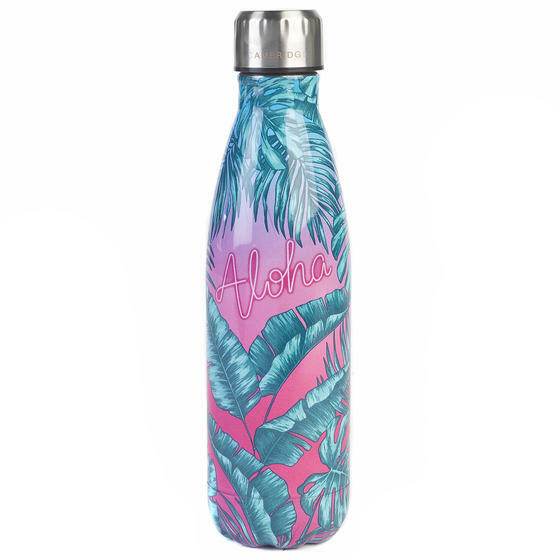 This reusable Aloha Palm Beach thermal flask from Cambridge mixes simple functionality with a vivid pattern that is sure to stand out from the crowd. 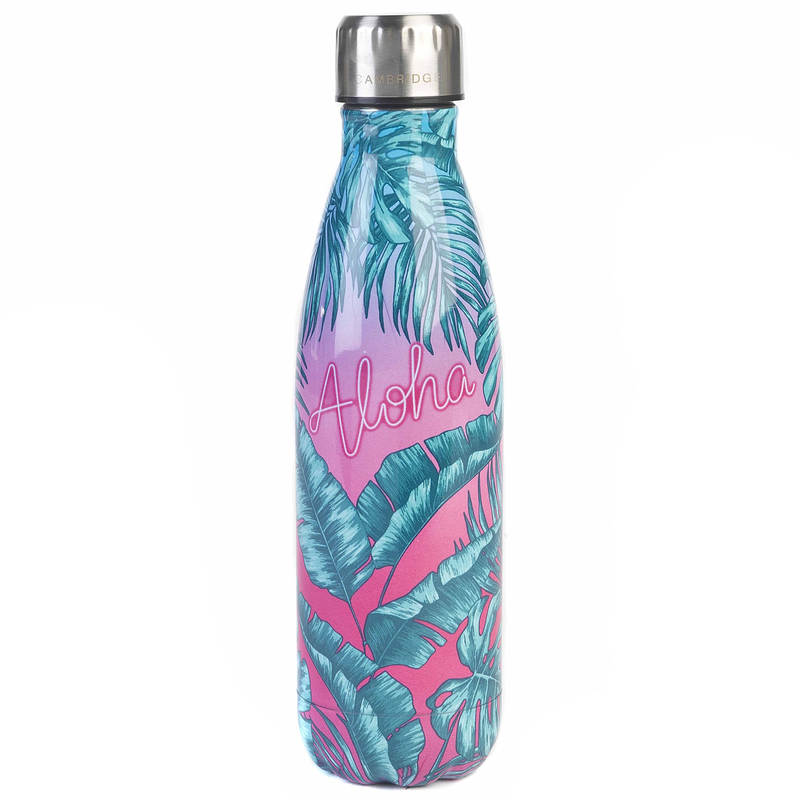 Featuring an exotic and eye-catching palm tree and neon light design, the leak-proof, 500 ml stainless steel flask measures a compact 25.7 cm x 7 cm for easy transportation. 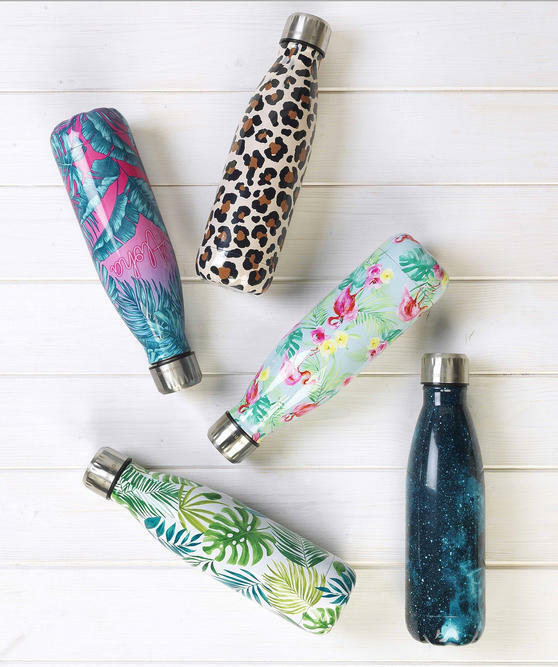 Perfect for hot tea and cold soft drinks alike, its high-performance thermal lining keeps liquids cold for up to 24 hours and warm beverages hot for up to six hours at a time. 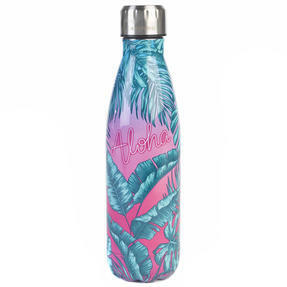 Stylish and functional, the flask is adorned with a vivid Aloha Palm Beach design featuring an 80s-inspired neon and palm tree motif.